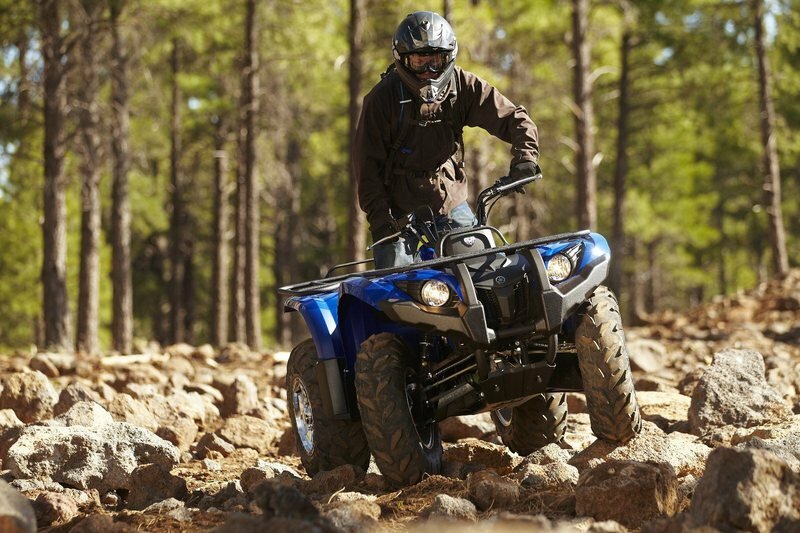 The Yamaha Grizzly 450 is the middle-tier member of Yamaha’s Grizzly family. While it doesn’t come with the simplicity of the entry models or the high-end specs of the top-of-the-line versions, it does offer a variety of features that has made a proven commodity. 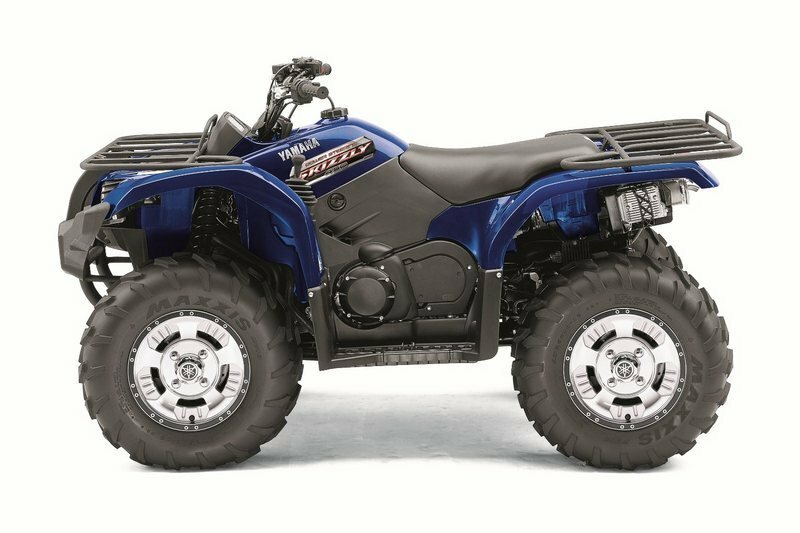 The Grizzly 700-inspired front-end styling boasts plenty of unique details, including a convenient water-resistant storage compartment on the front fender. 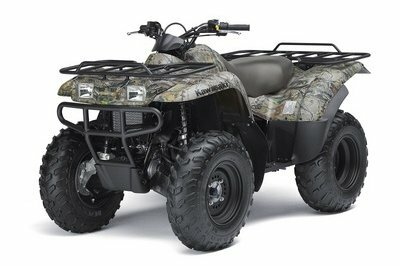 There are also steel cargo racks with a special paint finish that features a combined cargo capacity of 264 pounds; a large-capacity, 4-gallon fuel tank with a built-in gauge and easy-to-reach petcock valve; wide, fully integrated floorboards to keep riders’ feet dry and feature serrated footpegs for extra grip in wet conditions; large front and rear fenders with inner guards that offer excellent mud/splash protection; and, dual, bright multireflector 30-watt Krypton bulb headlights with high and low beams. 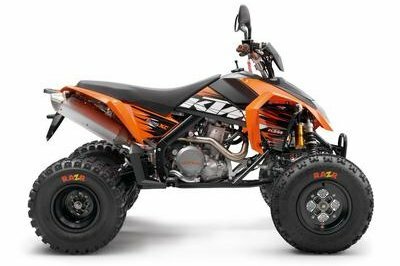 power characteristics, exhaust sound and durability, and a specially-designed drive system air intake vent that helps prevent overheating and keeps water and mud from entering drive case. 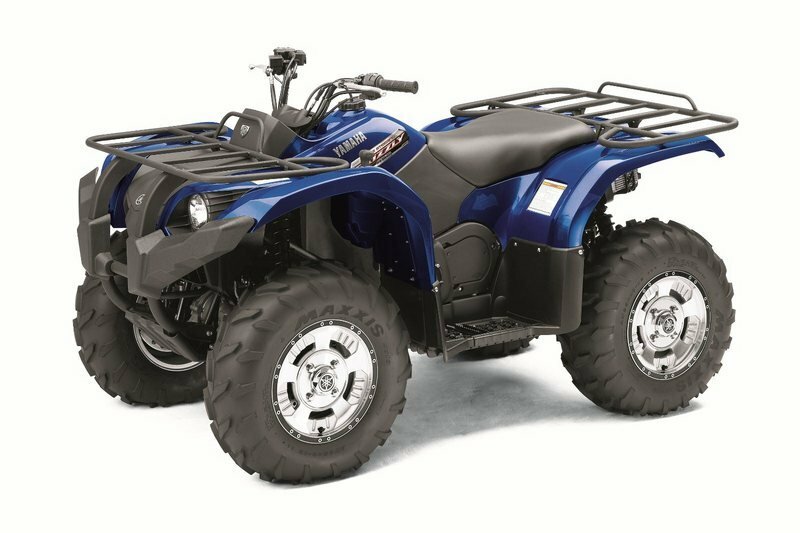 As far as handling is concerned, the Grizzly 450 has a lightweight chassis that has outstanding durability with superior rigidity for class-leading agility and handling. This is complimented by a fully independent four-wheel double-wishbone suspension that features a suspension on the front and rear, delivering 6.3" and 7.1" of travel, respectively. 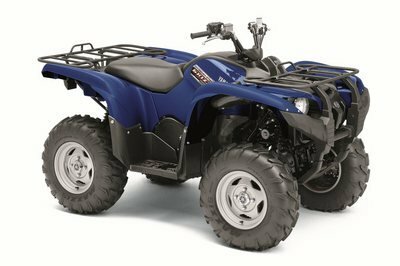 Large-diameter ventilated hydraulic front disc brakes deliver tremendous stopping power to round out the set-up of the sturdy Yamaha ATV. 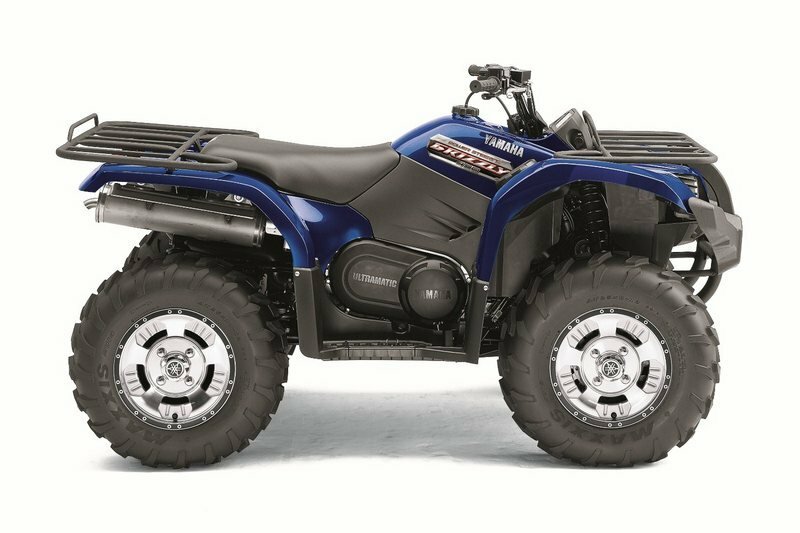 Find out more about the Yamaha Grizzly 450 after the jump. comfort and less rider fatigue. 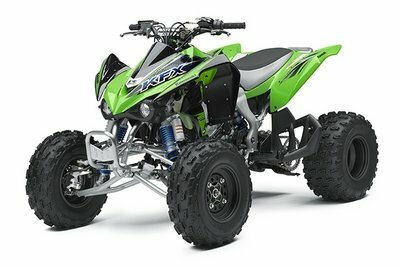 power characteristics, exhaust sound and durability. Left-side–mounted (Hi/Lo/N/R/P) shift lever is easily accessible. efficiency and is positioned high in frame for optimal protection. overheating and keeps water and mud from entering drive case. Tool-free air filter box for easy access and quick maintenance. 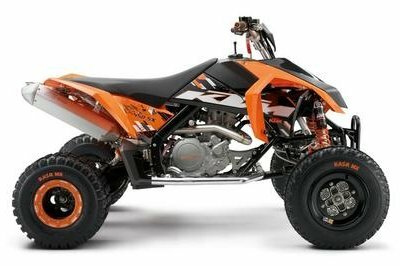 rigidity for class-leading agility and handling. increased comfort and incredible maneuverability—even in 4WD. power and greatly reduced maintenance requirements. tremendous stopping power in a variety of conditions. and more efficient power transfer when engaged in 4WD. prevent damage to boot covers and won’t dent or rust. water-resistant storage compartment on the front fender. automotive style receptacle handles a wide range of accessories. feature serrated footpegs for extra grip in wet conditions. ensure maximum protection from the elements. high and low beams; rear brake light. Rack Capacity 88 lb Fr./176 lb Rr.